Ultimately, there is no way out of these fees but why pay more when you don’t have to? January 2018, saw the ban of extra charges when using a credit or debit card. Fast forward 5 months where Visa and Mastercard increase the cost of transactions, consumers now face the prospect of paying more for goods and services. 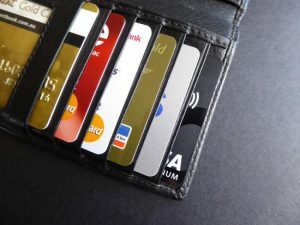 Between them, Visa and Mastercard control more than 60% of the UK card market, meaning traders risk losing the majority of their custom if they shop around for a better deal. These figures make it near-impossible for merchants to refuse to accept Visa and Mastercard the only other alternative is to ensure that their merchant service charge is as low as possible. The fees paid by retailers for credit and debit card transactions are opaque and many retailers simply don’t understand their bill or where the fees are coming from. At Cutpay we have experienced first-hand that when customers switch to us and begin to benefit from our incredibly low fee rates there is an instant bump in revenue. We have managed to save money for each of the companies that we work with – that is our main goal and promise. The amount of savings on our customers transaction fees we have generated averages at around 39% per month.